Honda is a brand that regularly builds cars that are able to last for years thanks to Honda's goal of giving their buyers long-lasting and reliable cars. One of the easiest ways to make sure that your Honda will continue to run for years to come is by servicing your Honda at Honda of Ames in Ames, IA. When you visit our service center you will be given the chance to work with a staff who is professional, knowledgeable, and friendly. Our staff will make sure that when you come in for service your Honda is treated with the same care and respect that they show their own cars. Here we are able handle any issue that can arise in your Honda, whether you need an oil change or tire rotation, or something more serious like transmission repairs or brake repairs. No matter what you are visiting for, our staff will be here to help. Plus, you can trust that the work will be completed in a timely manner and will last thanks to our use of genuine Honda parts from our parts center. This attention to detail will help your car run great for years to come. Of course, we're more than just quality repairs. We are also committed to customer service--everything we do is with our customers' best interests in mind. Just a few of the ways we try to make your life a little easier for you is with offerings such as our Express Lane Oil Change, Service Financing through Sunbit, and our frequently updated Service Specials. If you are looking for a trustworthy service center then it is time to visit Honda of Ames where our service center is capable of handling anything that can go wrong with your Honda. As a buyer in Ames, Marshalltown, Ankeny, Des Moines, or Mason City, you will find the staff and selection you desire when you visit us at 220 Kitty Hawk Dr. Schedule your visit today from the comfort of your couch with our easy to use service scheduler. Come visit us soon! Tired of having to rearrange your entire day to sit around waiting for your vehicle to get its repair and service it needs? We understand you have a busy day-to-day schedule so with Assured Service Right Now Service, we work on your schedule, not ours. If you'd like to make an appointment for your vehicle to get serviced, you can drop your car with us whenever it's convenient for you. 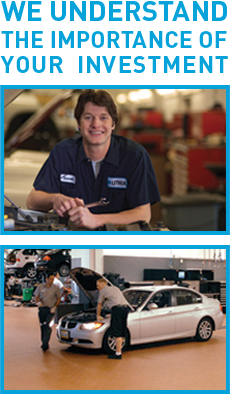 Once we have your vehicle, we'll get started on the repair process right away. We work around your schedule. That's our promise. Surprise auto repair bills are never the case at Honda of Ames. We understand there's nothing worse than being presented with a bill, more than you were anticipating. With our Service Guarantees, we'll give you a detailed quote for the work we will be performing to your vehicle before any work begins. You'll always know the exact price for the repair when you come to our service department. We guarantee you won't be charged any more than the price originally promised. If you've ever driven an older car, you know there are some things that just seem to go wrong from time to time. It could be as simple as a fuse, or even as complicated as a transmission. It almost starts to give your car its own personality. With our Assured Service Fixed Right Guarantee, you won't have to pay for the same repair twice. We stand behind every repair we make for a full 3 years or 50,000 miles. If the repair just happens to fail, we'll fix it for free - including the parts and labor. That's our promise.